The Gaming Supercomputer is born. 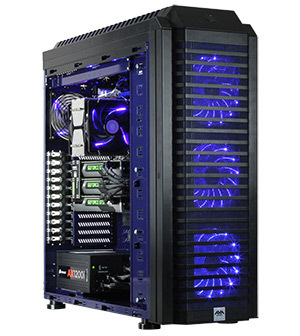 Powered by the new GeForce® GTX Titan. Oak Ridge National Laboratory’s Titan is the world’s fastest supercomputer. Now, the same NVIDIA® Kepler™ architecture technology that drives the Titan supercomputer is redefining the gaming experience. 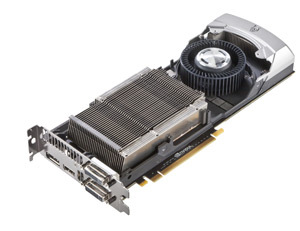 Only GTX TITAN has the same rare combination of raw power and efficiency made for the supercomputer. You get 2,688 NVIDIA CUDA® cores and 4.5 teraflops of gaming horsepower. Plus, GTX TITAN delivers a 384-bit memory interface running at a blazing fast 6 Gbps for an amazing 288 GB/s of memory bandwidth—enough power to drive even the most extreme high-resolution gaming. GTX TITAN gives you the perfect blend of elegant looks, premium craftsmanship, and superior acoustics. 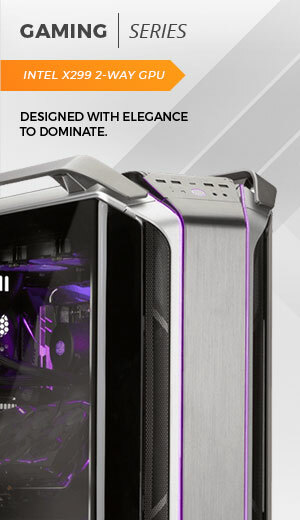 It’s made with cast aluminum, the highest-quality components, and an innovative vapor chamber technology and extended fin-stack to minimize noise while maximizing the gaming experience. Now you can play the most graphics-intensive games at max settings and the highest frame rates—every title, every time. 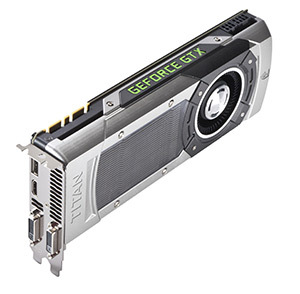 GeForce GTX TITAN was built to deliver the ultimate gaming experience through exclusive NVIDIA technologies like TXAA™ antialiasing, PhysX®, and GPU Boost 2.0 for a new level of customization and advanced controls. GTX TITAN enables a new class of gaming computers, whether you’re building the world’s fastest gaming PCs with 3-way NVIDIA SLI® or smaller form-factor gaming PCs that provide beautiful design with great performance. © 2013 NVIDIA Corporation. All Rights Reserved. NVIDIA, NVIDIA logo, GeForce GTX logo, GeForce, Kepler, SLI, TXAA, PhysX, FXAA, 3D Vision, 3D Vision Surround, and CUDA are registered trademarks and/or trademarks of NVIDIA Corporation in the United States and other countries. 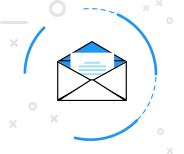 OpenCL is a trademark of Apple Inc. used under license to the Khronos Group Inc. Other company and product names may be trademarks of the respective companies with which they are associated.